Raised in New Jersey and New York, Rick Overton comes from a musical family. His father,Hal Overton, was Thelonious Monk’s big band arranger as well as a music teacher at the Juilliard Institute. His mother, Nancy Overton aka Anne Swain Overton, sang in personal appearances as a member of The Chordettes, the girl group most famous for their singles “Lollipop” and “Mr. Sandman”. Rick has dabbled in the music industry himself as he plays the harmonica occasionally with local blues bands. Rick began his stand-up career while in high school as one half of the comedy team “Overton & Sullivan” but eventually went solo as he broke in at the New York Improvisation in the early 1970s. 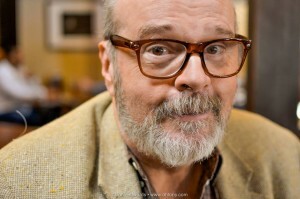 As a 40 year comedy vet, Rick Overton has starred in numerous HBO and Showtime specials and has had countless TV stand up appearances. He played The Drake on “Seinfeld” and Pam’s Dad on “The Office.” He currently recurs on Adult Swim’s “Children Hospital,” ABC’s “Last Man Standing,” TNT’s “Leverage” and recently guest starred on “The League,” “The Middle,” “The Kroll Show,” and “Newsreaders.” Rick has also guested on classic TV series like “Lost,” “E.R.,” “Made About You” and “Married With Children.” On the big screen, he has worked with A-list directors like Ron Howard, Chris Columbus, Harold Ramis, Jay Roach, and Steven Soderberg, with roles in films like “Bad Teacher,” “The Informant,” “Dinner for Schmucks,” “Cloverfield,” “Groundhog Day,” “Mrs. Doubtfire,” and “Willow.” He also has an Emmy Award for writing on HBO’s “Dennis Miller Live.” Rick is currently a semi-regular contributor to the Huffington Post and hosts a popular podcast called “Overview” that is available on iTunes.